Looking for a budget but original promotional product? 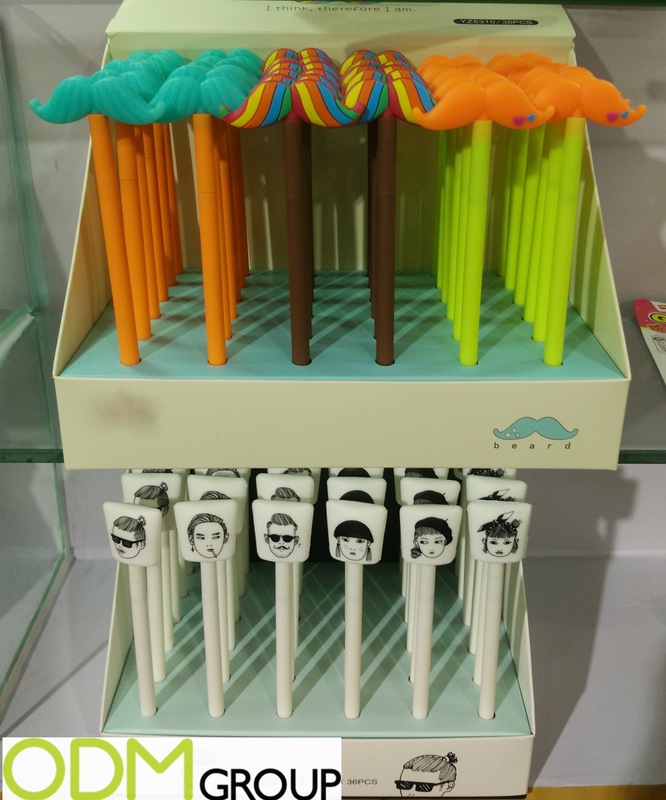 Then these pens with customized toppers are an ideal stationery promo idea. Pens are one of the most used items to promote a company image, because they are an essential product at the office, at school or at home. If you are interested in this idea, use reference code ODM-1627 to get a quotation! Customers will love these pens because they are available in a wide range of different designs. 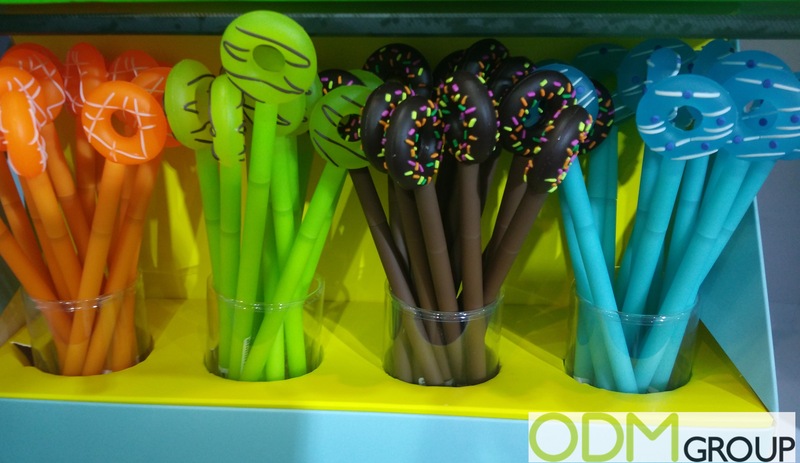 The donuts shaped toppers above are very eye-catching and colorful. Clients will be tempted to get as many colors of these as possible. In their courses, some students like to use many different colors to refer to a certain idea. It makes the course more readable and easy to learn. 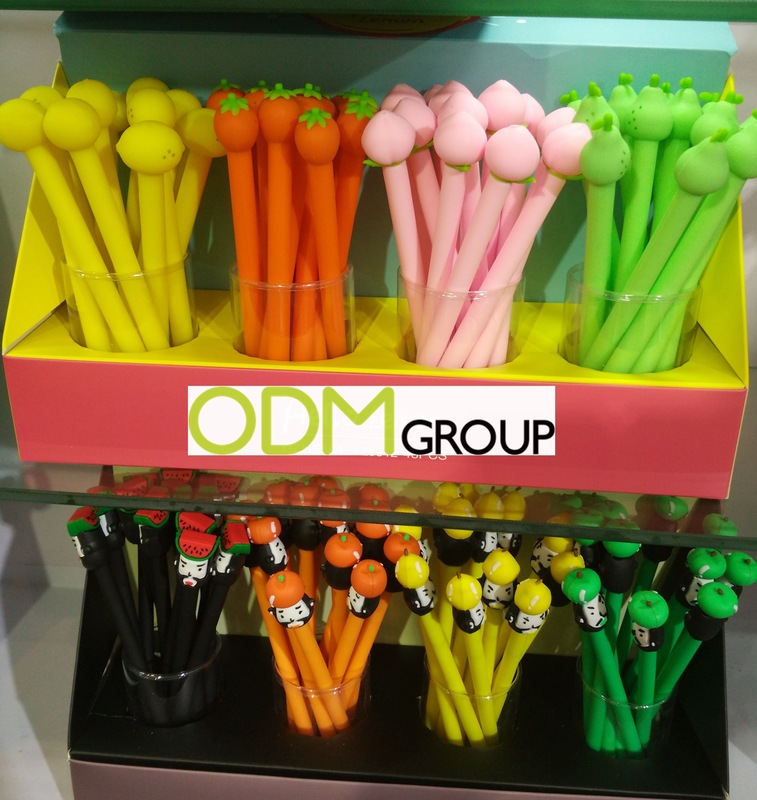 This kind of pens, while being fun, will completely meet their needs and be great for customers loyalty. The soft material used for the customized toppers makes us want to feel them, and in the same way, flashy colors are very attractive. Red ink pens are ideal for people who need to make corrections, such as teachers and professors. Why do we like these pens with customized toppers? Good promotional product. This product is intended for all targets, both adults and children, and this means that you will be able not only to improve your brand visibility, but also to boost your sales with such an item. High-end. With these high-quality roller pens, you won’t need to put too much pressure on to get a proper writing, in comparison with a ballpoint pen. It is possible to hold the pen less firmly and thus increase the writing comfort. These pens also have the advantage of writing fluidly and are a great choice for people who prefer writing in script. At ODM we have significant experience in product design, sourcing and manufacturing. We can help you with your marketing budgets effectively. Be sure to contact us if you are interested in finding out more information about pens with customized toppers. Looking for Customized Promotional Pens to offer your customers?